Gov. 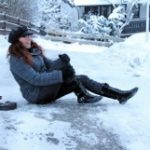 Rick Snyder has signed legislation to further shield municipalities from lawsuits filed by people who trip and fall on sidewalks, much to the dismay of personal injury attorneys and other plaintiffs’ advocates. The law, enacted on Wednesday, Jan. 4, 2017, lets cities defend themselves by saying sidewalk defects are “open and obvious.” The general rule of thumb is that the owner of a premises has a duty to exercise “…reasonable care to protect the invitee from any unreasonable risk of harm caused by a dangerous condition on the land,” according to the Michigan Court of Appeals. However, the “open and obvious doctrine” is a major exception to this general rule and one used as a defense in many “premise” liability cases. According to the doctrine, an “invitor,” in this case a municipality, is protected from liability if the danger is an open and obvious one. The foundation for this rule is that the open and obvious nature of the “dangerous situation” serves as a warning to the invitee and the person is expected to recognize the potential danger and protect themselves against it. Supporters of the new law say budget-strapped places such as Detroit pay millions annually in sidewalk-injury settlements and should be able to use a defense available to businesses. In January 2015, a woman filed suit against the City of Holland claiming the city “breached its duty to the public” by not properly maintaining and repairing an uneven portion of sidewalk on the western side of River Avenue between Seventh and Eighth streets, according an article in the Holland Sentinel. The woman was walking on the sidewalk May 21, 2014, when she fell “due to a vertical discontinuity of two inches or more in the sidewalk,” the paper noted. As a result of the fall, she claimed to have received multiple fractures of the wrist and a fractured foot; the woman and the city ultimately settled the case in December 2015 for $10,000, according to the article. The test to determine if a danger is open and obvious is whether “…an average user with ordinary intelligence would have been able to discover the danger and the risk presented upon casual inspection,” according to Michigan law. Because the test is ostensibly objective, the court “…looks not to whether plaintiff should have known that the condition was hazardous, but to whether a reasonable person in his position would foresee the danger,” according to the Michigan Court of Appeals. The open and obvious doctrine was initially based on Restatement of torts, which “…formulates clear principles of law governing apportionment of liability in cases where there are more actors than a single plaintiff and single defendant, different degrees of blameworthiness, derivative claims, or different tort claims against different defendants in the same case,” according to the American Law Institute. The bottom line is that it has become much more difficult for injured or aggrieved parties to seek redress and compensation from Michigan municipalities because of both the new law and a series of erosions in plaintiffs’ rights by the legislative and judicial branches of the state.